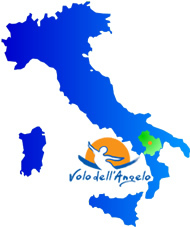 New for the 2013 season of Flight of the Angel, in Basilicata, is the descent in two. 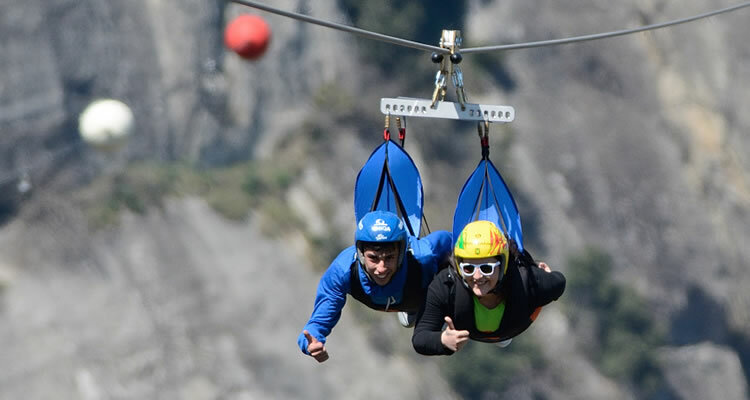 Starting from April 27, you can choose to hover in the sky alone or in pairs. The thrill of flying is shared in two. It’s the great news for the next season of the Angel Flight, between Castelmezzano and Pietrapertosa on the Lucan Dolomites. Starting on the 27th April you will be able to hover in the air in pairs. Boyfriend and girlfriend. Parents and children. The friends of the heart. The new system can fly perfectly aligned in parallel, so you can share the pleasure of adventure looking into your eyes and making the experience even more fascinating. may not exceed a total weight of 150 pounds. For children who fly together to the parent or an adult, the minimum age allowed is 12 years. This innovative system is the first in Europe and offers an extraordinary experience, made even more spectacular by the view that flies over. A stunning setting between spiers and pinnacles, at a height of 400 meters. The Dolomites of Lucania date back to 15 million years ago and dominate nature built from sandstone cliffs, shaped by atmospheric agents. Their particular form have been affectionately renamed the Owl, the Owl, The Great Mother, the Anvil. A flight of more than a mile in less than a minute. It is a very short time but it opens up a long and ancient dream: The Flight of Icarus. The wings are not of wax, are "mechanical wings", or a carriage that ensures firmly to the steel cable and which connects the countries of Castelmezzano and Pietrapertosa facing each other on two rocky pinnacles. 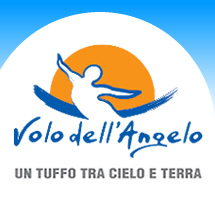 "This new attraction is another great achievement for our area, explains Nicola Valluzzi, Chief executive of the Flight of the Angel Consortium, one of the first to want the installation of this system in Basilicata, along with the mayors of Castelmezzano Pietrapertosa." We are confident that it will bring even more tourists and will broaden the audience of our users, increasingly involving entire families. This form of flight, in fact, allows even the smaller guys to live a unique adventure with one of the parents. In addition, flying in two, you’ll save 10% on the total cost of the two single tickets, which given the time of crisis can be an added value." Obviously, for those who choose to make the Angel Flight individually is confirmed the unique and thrilling experience: modern Peter Pan ready to touch the clouds.